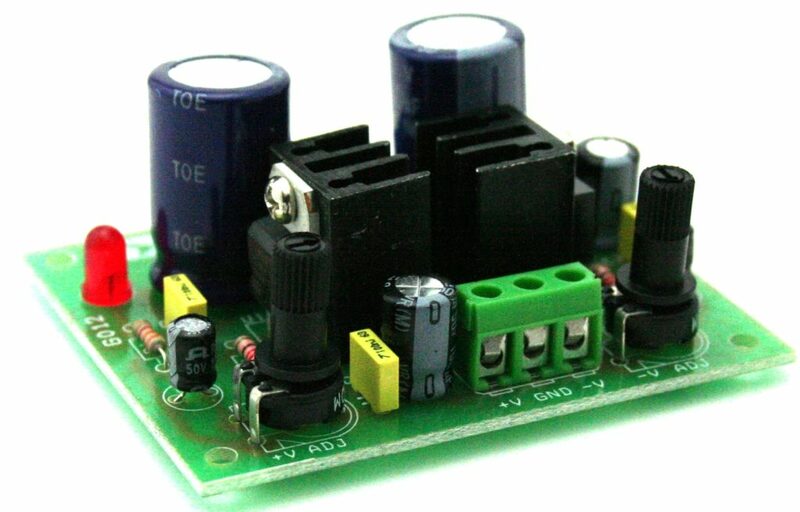 This project is a solution to power up most of devices or projects requiring dual (+/-) adjustable power supply. 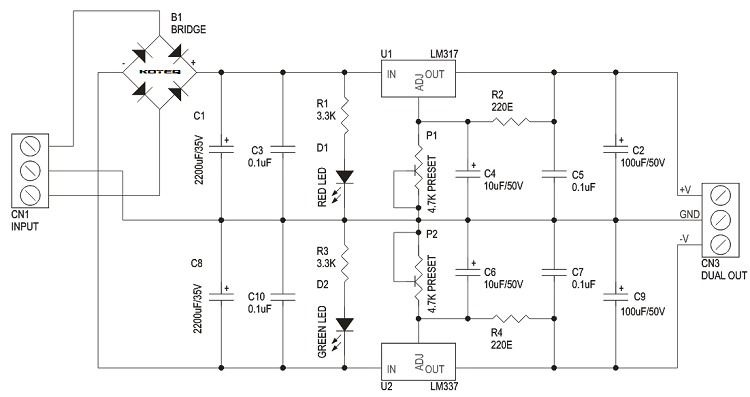 The circuit is based on LM317 positive and LM337 negative voltage regulators. 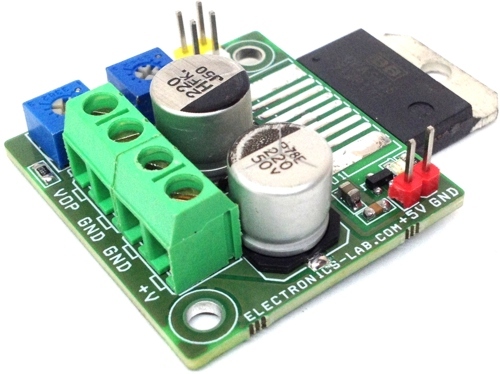 LM3X7 series of adjustable 3 terminal regulators is capable of supplying in excess of 1.5A over a 1.2V to 37V DC output range. 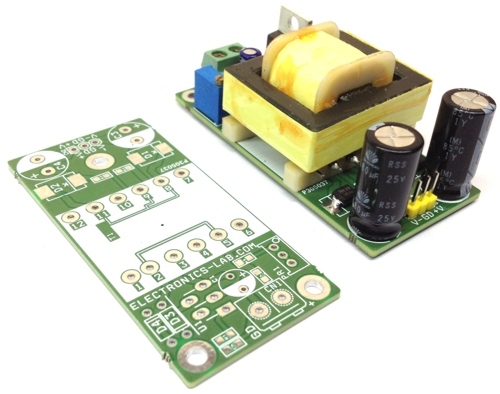 On board TO220 Package with heat sink can handle maximum load current. 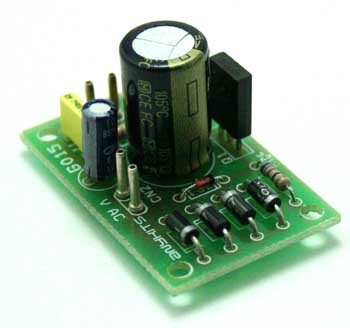 Board provided with two on board preset to adjust the voltage. The value for R2 and R4 are 220 ohms which is too high. The datasheet say that some of the ICs have a minimum load current of 10mA which needs resistors that are 1.25V/10mA= 125 ohms maximum. Then the value of the pots must be changed to 2.5k ohms. The more expensive LM117 and the expensive version of the LM337 will work fine with the resistor values shown in this project. 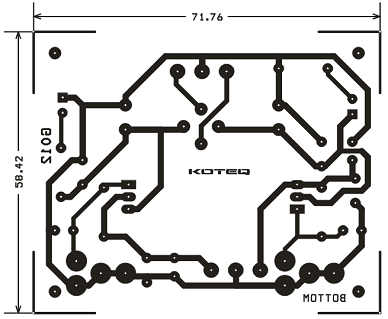 The datasheet also says that the IC will be destroyed when either the input or the output is shorted shorted since the capacitors C4 and C6 are 10uF and the voltage is higher than 25V. 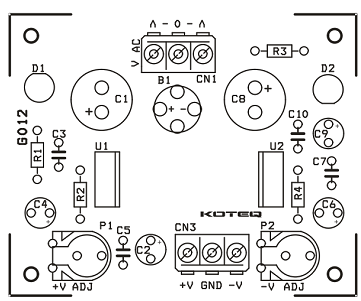 Protection diodes are shown in the datasheets but they are missing in this project. 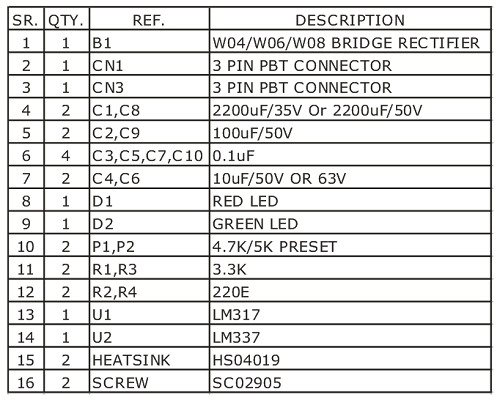 The datasheets also show protection diodes from input to output and these diodes are also missing in this project.